Listening to the First Symphony is a trip of discovery through Bruckner’s countryside, within the triangle formed by Ansfelden (birthplace), St. Florian (with its famous Stift, where Bruckner, first as a choirboy and later as a mature musician, found the much-needed distance from the workaday world to play the extremely beautiful organ) and lastly Linz. In this First Symphony we already find the characteristics at the heart of Bruckner’s symphonic work: the outer movements exhibit three strongly profiled, truly symphonic themes that cry out for further development, while the polyphony – sometimes quite tightly woven – is an unmistakable part of the structure. No less convincing are the sometimes almost stormy Steigerungen (intensification passages), the elementary rhythmic energy and the extremely rapid modulations. What is still absent are the major chorales and the General-Pausen, the breaks that we already encounter in the Second Symphony (1872), the chief purpose of which was to separate the various thematic constructs. In the Adagio too, Bruckner goes all out in a lengthy quest for the gripping sound of A flat major, which does not let itself be found until the twentieth measure. The brilliant Scherzo is characterised by a highly contagious rhythmic energy that manifests itself in all layers of the orchestra, and only submits to being tamed in the rustic Trio. In the finale, drama and improvisation compete for the main role, but it is so soundly constructed that the entire piece remains in balance. 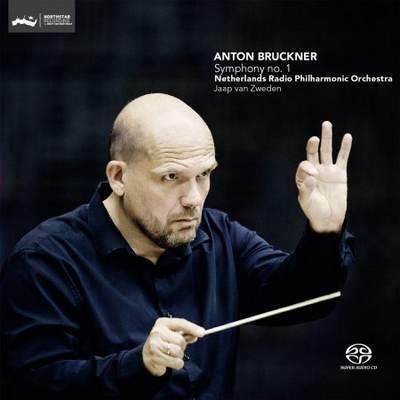 There can be no doubt that Bruckner’s First Symphony is a masterpiece, one that portends the symphonic work yet to come in all its various manifestations.